Hayward Police Department chose a 26ft. Freightliner MT-55 chassis for their new mobile command center. The truck is powered by a Cummins diesel engine and paired with an Allison 2200 EVS automatic transmission. To increase the available space inside the vehicle, Hayward PD elected to have us build a flat floor slide-out room to integrate into the body. 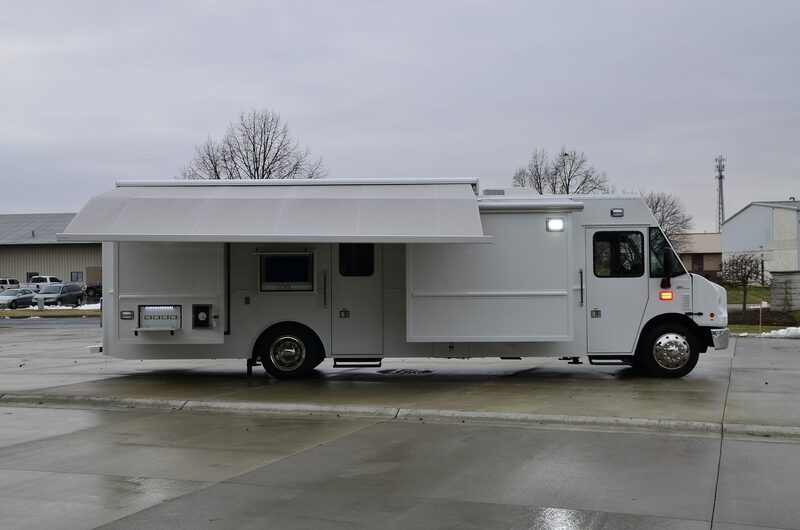 This mobile command center includes numerous features such as a weatherproof exterior TV compartment, a Girard awning, vehicle leveling system, 3 magnetic dry erase boards, and an exterior charging station.